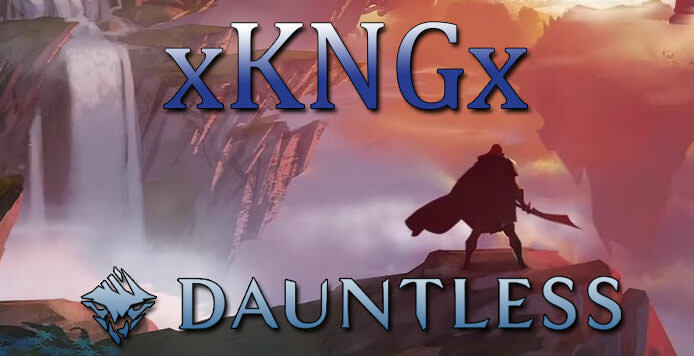 xKNGx Dauntless Guild Recruitment is open for new and skilled players! Kentuckynerd.com xKNGx Dauntless Guild Recruitment! xKNGx is on the search for new and veteran players! You’ve come across a Dauntless Guild Recruitment post! xKNGx has been playing since beta and we continue to grow. If you are looking for a friendly guild to join then you’ve come to the right place. If you do join you will become part of our Gaming Community which is known as KNG or Kentuckynerd.com Gaming. KNG is a discord gaming community and we are growing very fast. Our current largest gamer player base is Destiny 2 which has over 6 FULL CLANS! So there are plenty of gamers to play with here! You searched up Dauntless Guild Recruitment for a reason! That is because you want to join a guild! We have very little requirements our biggest is that you remind friendly and join the friendly dauntless guild today! Being Friendly and overall active in the community you will reach a very high potential! Please be patient if no one is there to invite you to the guild it is new and we are working to get more active officers! YOU DO NOT HAVE TO BE FROM KENTUCKY! If you are new to Discord don’t be discouraged! We have made it as simple as possible. Most discords require you to type in a command to join, ours no longer does! Being part of KNG has all kinds of perks. If you do something cool WE want to hear about it and we want to post it right on the website! This also will get automatically place in our official dauntless page! We also love to help push OUR members for streaming. We do not as of this post have an official Dauntless streamer. Right now I am streaming it sometimes on Thursdays if you want to check it out, and hang out with the founder of this whole place you are more than welcome to. Streaming is hard and it is extremely difficult to get a community behind you. So join our and we can help with that! My door is always open, I’m not the best at Dauntless and I’m not trying to be. I’m trying to find the best players for our community! Help us grow, if you are new we will help you the best that we can. Let’s grow together, let’s grow with the development of this free 2 play game. Dauntless is changing, and Dauntless is getting better. Guild perks are coming in upcoming patches so don’t worry guilds are not forgotten about. A lot of work is still to be done so why not join our guild now and get a head start!